Because of its varied landscape and climate, Switzerland offers a large variety of sports to its inhabitants and visitors. While winter sports are enjoyed throughout the country, football and ice hockey remain the most popular sports. Major sporting events in Switzerland include the Olympic Games, which were held two times in St. Moritz in Winter 1928 and Winter 1948, and, the 1954 FIFA World Cup, the UEFA Euro 2008 in Switzerland and Austria. Skiing and mountaineering are much practiced by Swiss people and foreigners, the highest summits attract mountaineers from around the world. As a predominantly mountainous country Switzerland has traditionally been one of the strongest nations in the sport of alpine skiing, where it has a long-running rivalry with neighboring Austria. The Swiss reached their peak in the sport in the 1980s, when they won the overall Nations' Cup in the FIS Alpine Ski World Cup for seven consecutive years from 1981 to 1987. Switzerland's most successful alpine skiers include Pirmin Zurbriggen, Peter Müller, Bernhard Russi, Didier Cuche, Franz Heinzer and Michael von Grünigen among the men and Vreni Schneider, Erika Hess, Michela Figini, Maria Walliser, Marie Therese Nadig, Sonja Nef, Lise-Marie Morerod and Brigitte Oertli among the women. Switzerland is also notable as the birthplace of competitive sledding, which originated in the Swiss resort of St. Moritz, which was also where the first bobsleigh was constructed in the late nineteenth century. Switzerland has traditionally been a strong nation in bobsleigh, enjoying a particularly fierce rivalry with East Germany in the 1970s and 1980s. Simon Ammann has been one of the world's best ski jumpers in the 21st century, whilst Dario Cologna has emerged as one of the top cross-country skiers in the world in the late 2000s. Curling has been a very popular winter sport for more than 30 years. The Swiss teams have won 3 World Men's Curling Championships and 2 Women's titles. The Swiss men's team skipped by Dominic Andres won a gold medal at 1998 Nagano Winter Olympics. Stéphane Lambiel, two-time winner of the World Figure Skating Championships amongst numerous other domestic and international competitions, is one of the world's top figure skaters. Bandy exists in minor form. 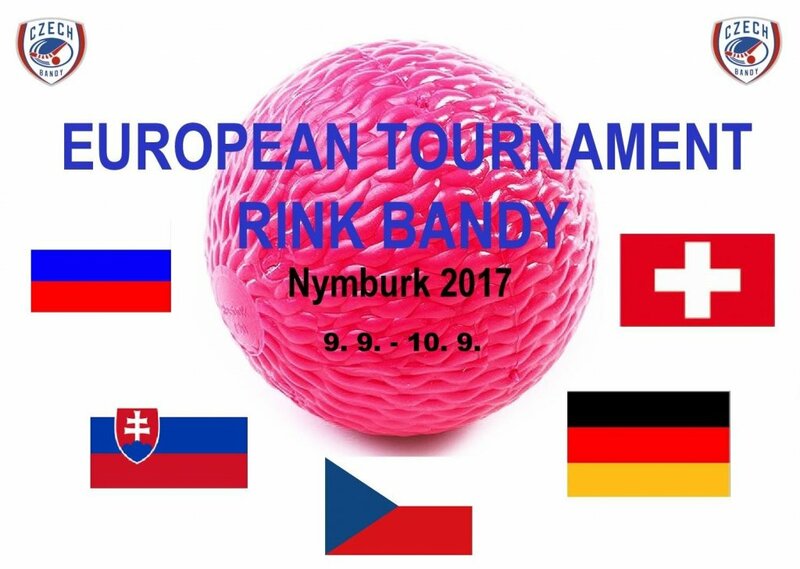 In September 2017 Switzerland made its debut at the annual rink bandy tournament in Nymburk, Czech Republic. At the 2018 Women's Bandy World Championship, Switzerland will participate. Most Swiss people follow ice hockey and support one of the 12 teams of the National League which, as of 2017, is the most-attended European ice hockey league. 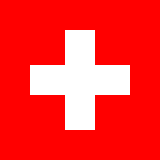 In April–May 2009, Switzerland hosted the Ice Hockey World Championships for the 10th time. The Swiss national ice hockey team's latest achievements are two silver medals at the 2013 World Ice Hockey Championships and 2018 World Ice Hockey Championships. The "Nati" is currently ranked 7th at the IIHF World Ranking. Like many other Europeans, most Swiss are fans of association football and the national team or 'Nati' is widely supported. The national team has previously participated at eleven different FIFA World Cups (last in 2018) and four different UEFA European Championships (last in 2016 and as co-host with Austria in 2008. Also 1996 and 2004). At club level Grasshopper Club Zürich holds the records for winning the most national championship titles (27) and the most Swiss Cup trophies (19). More recently FC Basel enjoyed great success on a national (winning 7 championship titles in the last 10 years) and international level (qualifying 5 times for the UEFA Champions League Group stage). Mies in Switzerland is home to the headquarters of FIBA, the world's governing agency for international events. Unsurprisingly, the country is one of FIBA's founding members and therefore has one of the world's longest basketball traditions. Once a major team at the international scene, its national team does not have major international significance anymore, despite occasional strong showings at qualification games. The country has brought forth two NBA Players, Thabo Sefolosha and Clint Capela. Swiss rugby dates back over a century. More recently, 2006-07 Heineken Cup clash between the French side Bourgoin and Irish rugby's Munster was moved from Bourgoin's home ground, to the Stade de Genève (Geneva Stadium). The stadium's capacity is 30,000, and attendance on the day was 16,255. Motorsport road racing circuits and events were banned in Switzerland following the 1955 Le Mans disaster with the exception of events held in a time trial format such as hillclimbing. On June 6, 2007 an amendment to lift the ban was passed by the lower house of the Swiss parliament. However the proposed law failed to pass the upper house, and was withdrawn in 2009 after being rejected twice. In 2015 the Swiss government allowed a relaxation of the law, permitting head-to-head racing for electric vehicles only. In June 2018 Switzerland hosted its first motor race in 63 years when the first Zürich ePrix was held as a round of the all-electric Formula E championship. Despite the long-standing restrictions, the country has produced successful road racing drivers such as Clay Regazzoni, Jo Siffert and successful World Touring Car Championship driver Alain Menu. Switzerland also won the A1GP World Cup of Motorsport in 2007-08 with driver Neel Jani. Swiss racing driver Marcel Fässler won the World Endurance Championship in 2012 and has won the Le Mans 24 Hours three times, and motorcycle racer Thomas Lüthi won the 2005 MotoGP World Championship in the 125cc category. Also, Formula One constructor Sauber is based in Switzerland. However, other forms of motorsport are permitted, such as rallying, motocross, supermotard, enduro and trials. High-profile drivers from Formula One and World Rally Championship such as Michael Schumacher, Nick Heidfeld, Kimi Räikkönen, Fernando Alonso, Lewis Hamilton, Sébastien Loeb and Sebastian Vettel all have a residence in Switzerland, sometimes for tax purposes. Roger Federer is widely considered to be the best male player in the history of tennis. Over the last few years several Swiss tennis players, like Roger Federer, Stanislas Wawrinka and Martina Hingis, became Grand Slam singles champions. Federer has won 20 Grand Slam titles and holds the record for the longest consecutive stay as the world number 1. Another Swiss tennis figure is Marc Rosset, winning the singles gold medal at the 1992 Olympics. Switzerland is also the home of the sailing team Alinghi which won the America's Cup in 2003 and defended the title in 2007. Golf is becoming increasingly popular, with already more than 35 courses available and more in planning. André Bossert is a successful Swiss professional golfer. The Switzerland national beach football team won the Euro Beach football Cup in 2005 and were runners-up twice, in 2008 Euro Beach football Cup and 2009 Euro Beach football Cup. More recently, they were also runners-up in the 2009 FIFA Beach football World Cup that took place in November. Other sports where the Swiss have been successful include athletics, (Werner Günthör and Markus Ryffel), fencing, (Marcel Fischer), cycling, (Fabian Cancellara, Ferdinand Kübler, Hugo Koblet, Oscar Egg, Jolanda Neff, Stefan Küng), kickboxing (Andy Hug), whitewater slalom (Ronnie Dürrenmatt—canoe, Mathias Röthenmund—kayak), beach volleyball (Sascha Heyer, Markus Egger, Paul and Martin Laciga), professional wrestling (Claudio Castagnoli), and triathlon (Brigitte McMahon, Reto Hug, Sven Riederer, Nicola Spirig, Daniela Ryf). In cycling, Fabian Cancellara nicknamed 'Spartacus' is one of the best road racer of modern times. He has achieved great success in the classics; he has won Paris–Roubaix three times, the Milan – San Remo once, and the Tour of Flanders three times. Cancellara has won the opening stage of the Tour de France five times and has led the race for 28 days total, which is the most of any rider who has not won the Tour. His success has not been limited to just time trials and classics, as he has won general classification of the Tirreno–Adriatico, Tour de Suisse, and the Tour of Oman. In 2008, he won gold in the individual time trial and silver in the men's road race at the Summer Olympics. In addition, Cancellara has been the time trial world champion four times in his career. Switzerland is the third most successful orienteering country in history. Traditional sports include Swiss wrestling or "Schwingen". It is an old tradition from the rural central cantons and considered the national sport by some. Hornussen is another indigenous Swiss sport, which is like a cross between baseball and golf. Steinstossen is the Swiss variant of stone put, a competition in throwing a heavy stone. Practiced only among the alpine population since prehistoric times, it is recorded to have taken place in Basel in the 13th century. It is also central to the Unspunnenfest, first held in 1805, with its symbol the 83.5 kg stone named Unspunnenstein. ^ Sappenfield, Mark; Case Bryant, Christa (16 February 2010). "For Swiss, an Olympic skiing gold is good - beating Austria makes it great". csmonitor. Retrieved 1 January 2016. ^ Verschoth, Anita (27 January 1988). "Spies That Slide". Sports Illustrated. Retrieved 13 March 2016. ^ Adams, Ariel (3 March 2015). "TAG Heuer and Formula E Racing Help End 60-Year Auto Racing Ban in Switzerland". forbes.com. Retrieved 10 June 2018. ^ Pauchard, Olivier (8 June 2018). "Motor racing returns to Switzerland via Formula E". Swissinfo. Retrieved 10 June 2018. This page was last edited on 16 April 2019, at 12:58 (UTC).